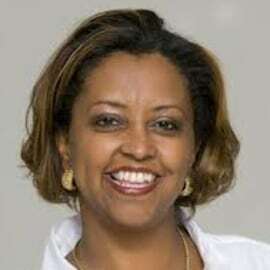 Dr. Eleni Gabre-Madhin is founder and chief happiness officer of blueMoon, Ethiopia’s first youth agribusiness incubator. Prior to this, she led eleni LLC, Africa’s leader in designing and building commodity exchange eco-systems in frontier markets. Dr. Gabre-Madhin is also founder and former CEO of the highly acclaimed Ethiopia Commodity Exchange (ECX), which she founded and managed from 2008 to late 2012, successfully trading $1.4 billion annually after 3 years of operation. A globally recognized thought leader on agricultural commodity markets and African development, formerly with the World Bank and IFPRI in Washington, she holds a PhD in applied economics from Stanford University, an MSc in Agricultural Economics from Michigan State University, and BA in economics from Cornell University, and was awarded Outstanding Dissertation by the American Agricultural Economics Association in 1999 for her research on Ethiopian grain markets. Dr. Gabre-Madhin was selected among Devex’ Top 5 Women Global Women of Impact on Development 2016, Wharton Business School Africa Club’s “Africa's Top Woman Pioneer, Innovator & Entrepreneur 2015,” 125 Global Women of Impact by Newsweek in April 2013, 100 Most Influential Africans by New African 2012, and received the prestigious Yara Prize for Agricultural Transformation in Africa and the African Banker Icon Award, both in 2012. She was named among 50 Women Shaping Africa by The Africa Report in 2011, nominated Outstanding African Businesswoman in 2010, and selected as Ethiopian Person of the Year in 2009.